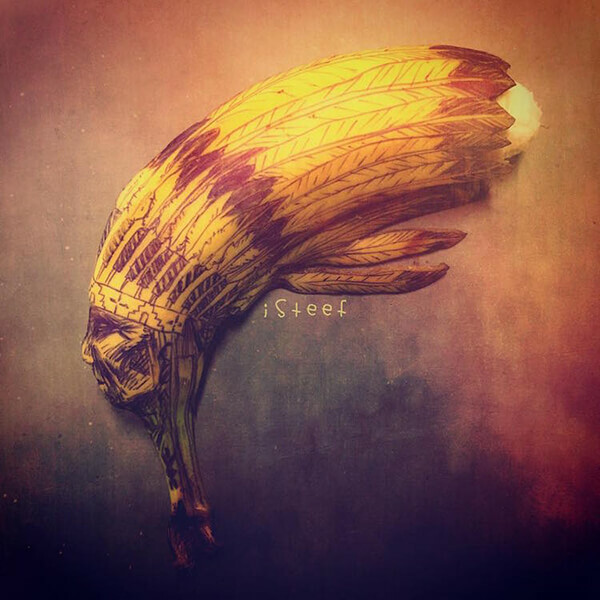 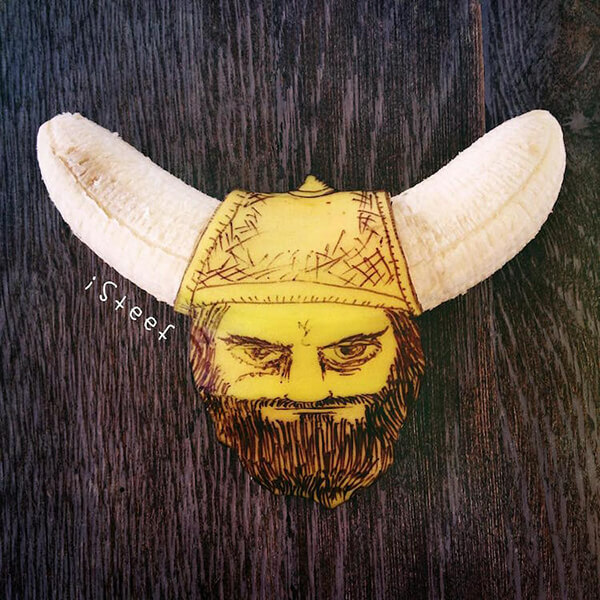 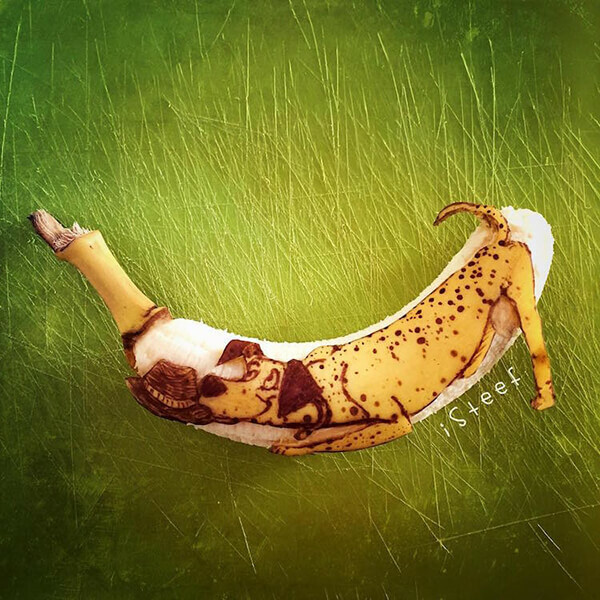 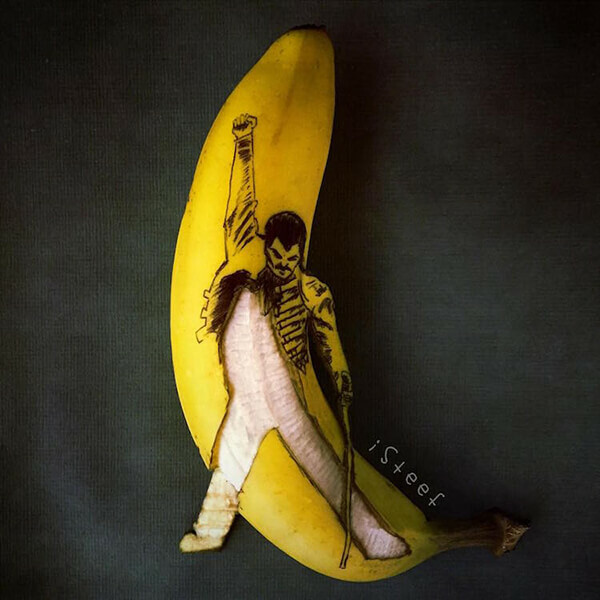 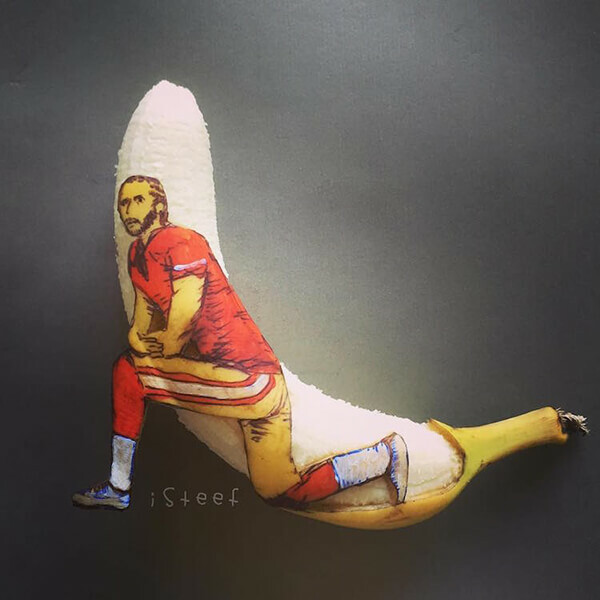 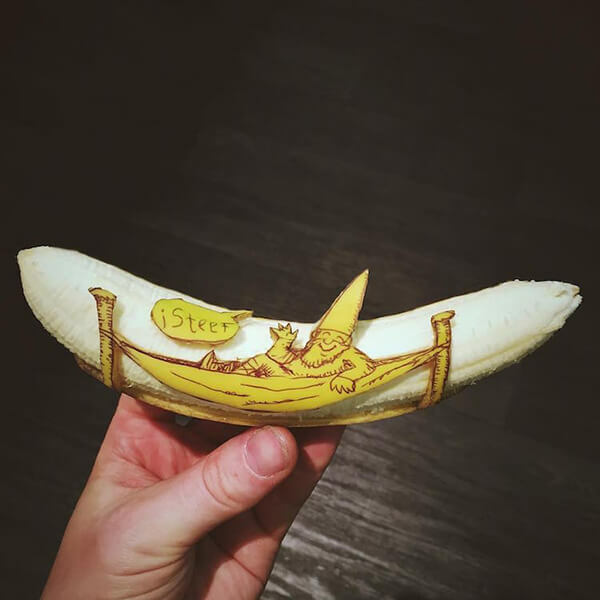 Stephan Brusche (aka iSteef) is not the first and definitely not the last artist who uses banana as canvas to create their arts. 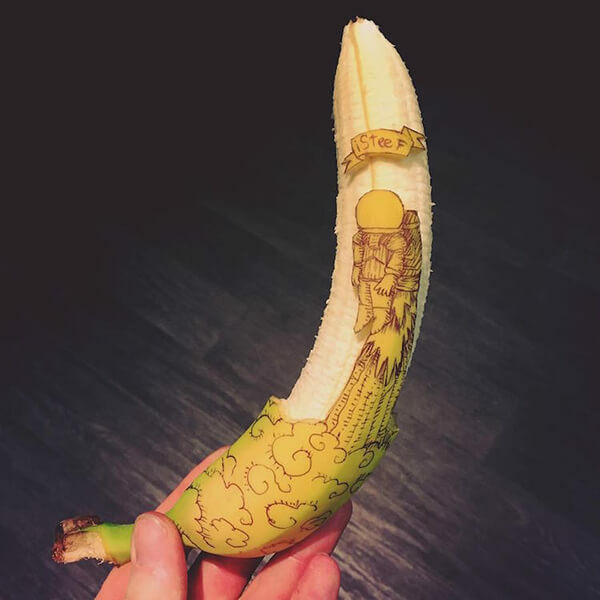 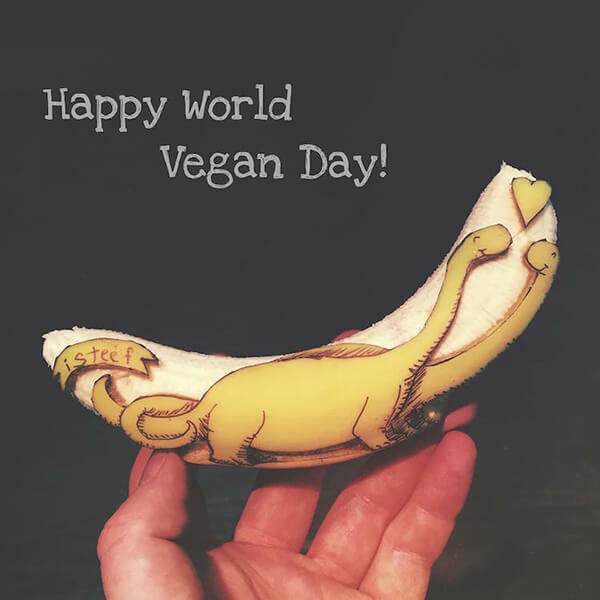 Two years ago, we featured some of Brusche’s interesting banana-doodles and today we will present you some of his latest works – animals, pop culture, and Biblical stories doodle on banana skins. 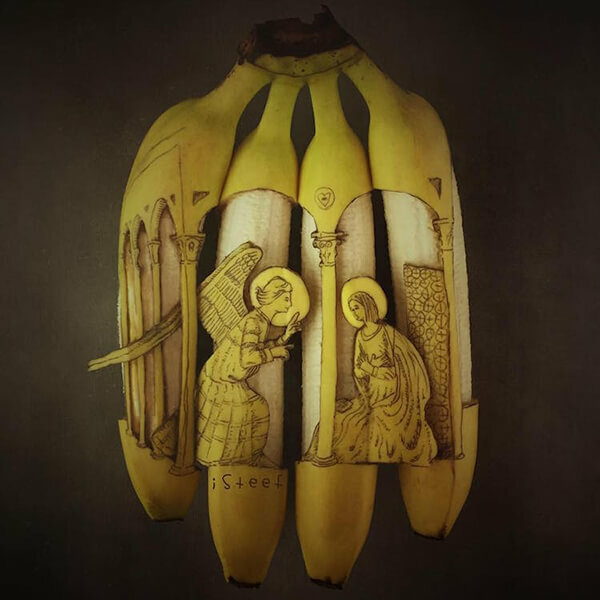 His pure joy for manipulating the fruit is evident in his work. 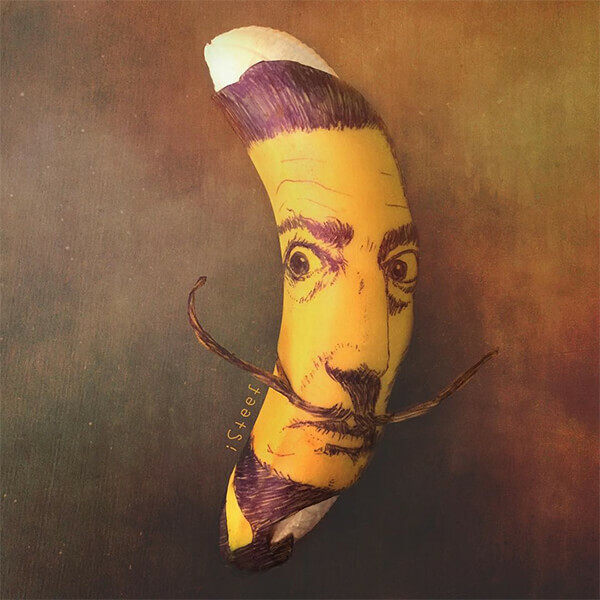 Some banana transformations are completed with just a few manipulations, while others require massive carving in order to take shape. 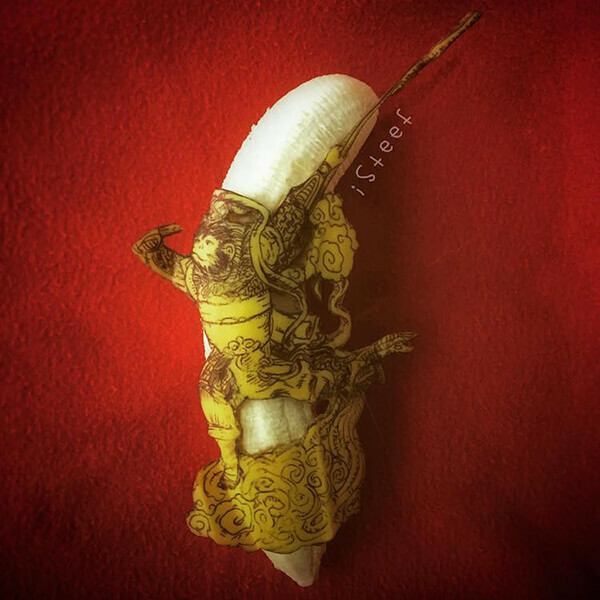 It is quite fun to use banana skin as canvas right? 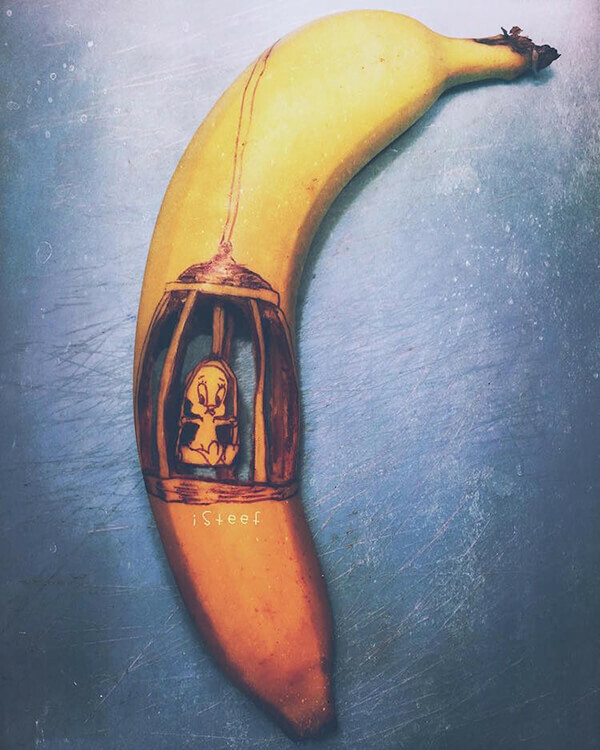 The only thing I don’t really like is you can reserve your work physically and can only document them with the camera.